It's summer and I'm still obsessed with making my own popsicles. But this time? I'm not sharing with the kids. These are really that good and I'm going on the theory that with fruit and yogurt that they are kind of a health food. Anyhow, it's extra simple, just three ingredients. Take one pineapple. Peel it, core it and puree it, then put it in a big bowl. 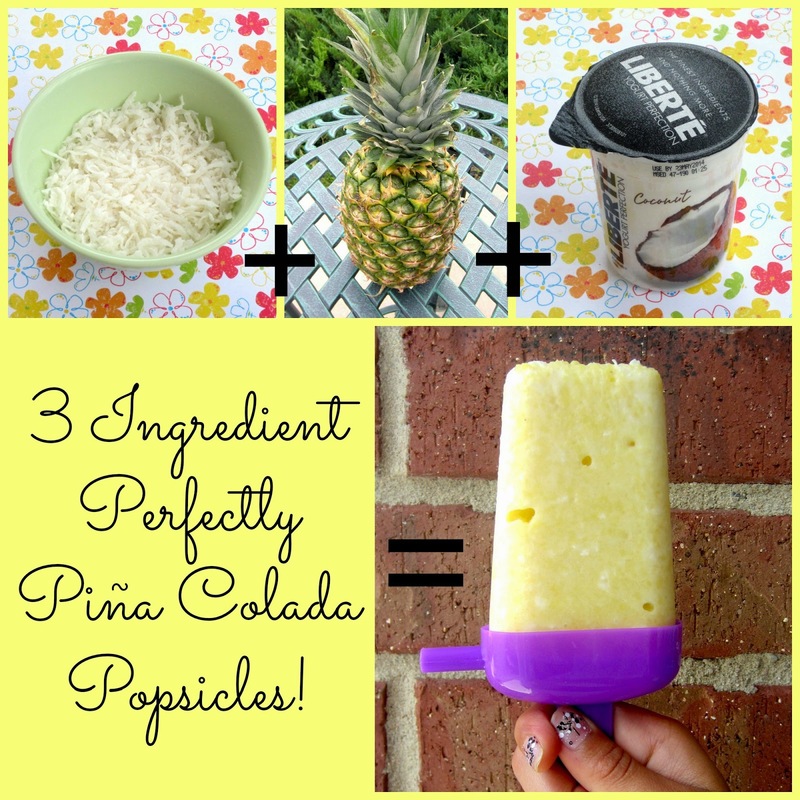 Take about one cup of shredded coconut, add it to the pineapple. Now take one container of Coconut Yogurt, add it to your bowl. Mix well till it's all blended, make sure there is no white yogurt parts left. And you can thank me later. They are really really good!